I remember when I was pregnant and many well-meaning friends said to me, “Get your sleep now because once the baby arrives…” I did not get enough sleep once my daughter arrived. I would stay awake watching her breathe. I loved seeing her stomach move up and down and I smiled at each breath because she was alive, she was here, I was a mom. My life has changed and it has grown bigger, fuller, and richer. I have someone in my life who spontaneously runs up to me, hugs me, kisses me, and tells me she loves me just because. Just because. How lucky am I! Bio: M.J. Kang is a stay at home mother based in Santa Monica, CA. She was born in Seoul, Korea, raised in Toronto, Canada and has lived anywhere work has taken her. Prior to being a SAHM, she was an award-winning playwright with seven produced plays and a recipient of multiple awards, grants, and several playwright-in-residencies. She has been named in Canada’s Who’s Who since 1997 for her work as both a writer and actor. The photo above was taken the day before they hiked Machu Picchu. 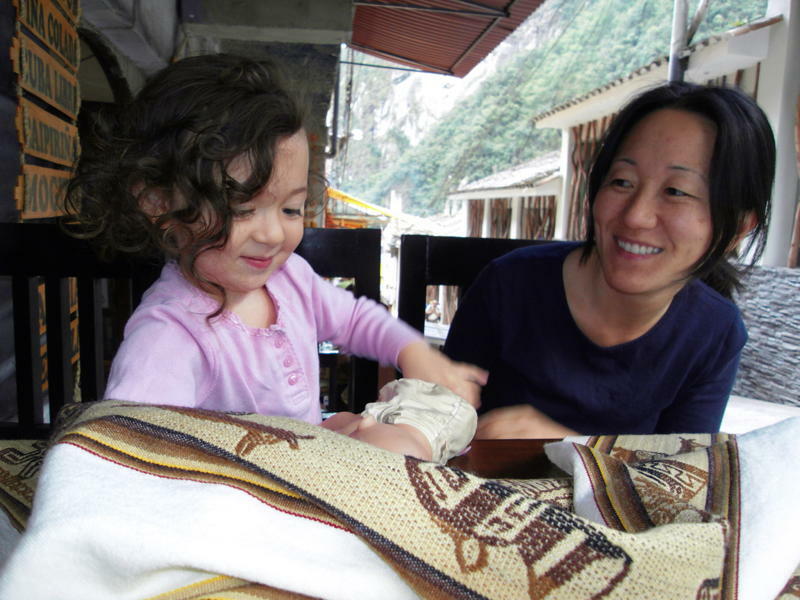 M.J. Kang blogs at Natural Traveling Mama. We need YOU for MamaBlogger365! Send us 250 words on RE-FRAMING MOTHERHOOD and help the Museum of Motherhood secure a permanent home in 2011!